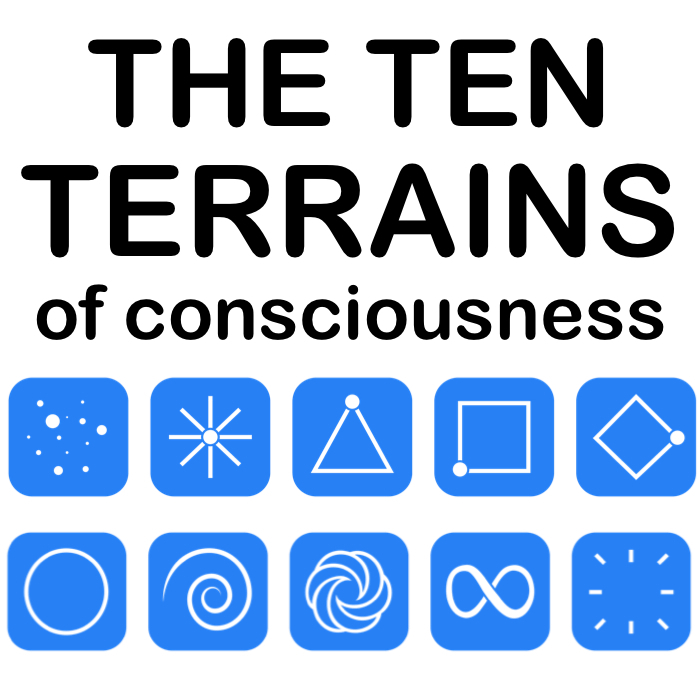 The Ten Terrains of Consciousness is a Model co-created by Allen David Reed and Tahnee Woolf for the purposes of Self learning, personal empowerment, expansion of Consciousness and global healing, for the highest good of all. It exists in its own dimension at the Unity-Based Terrain (Infinity) and is coming from Love. You will not use any of the ideas or concepts on this website to manipulate, entrap, exploit, judge, exclude or otherwise harm another person. When sharing the ideas on this website with others, you will not deliberately distort, modify, water down or in any other way alter them. Should you breach the terms of this Agreement, you will find that any harm or distortion you cause will be experienced by yourself at a future point in your timeline, by the universal law of reciprocity.